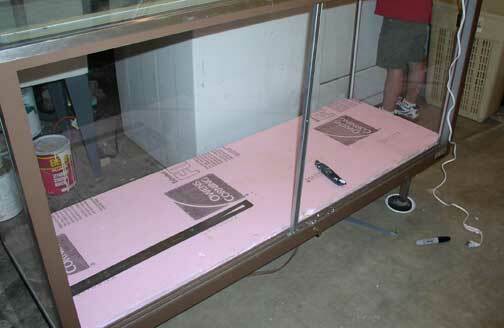 We decided to build the diorama in this large 6ft long glass store display case. 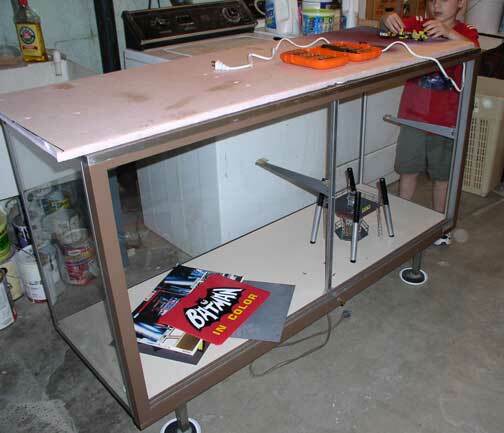 We found this case fairly affordably from a local used store fixtures supply warehouse in Pittsburgh. It came with existing lighting but we mounted new mini fluorescent lights to the interior ceiling. We are testing out a floor-plan and getting a working base floor out of pink building Styrofoam in there to make markings. The tricky parts of this (other than, you know – actually creating all the little bits) is working within the space contained by this display case and working front to back until we get ready to turn everything around later. We wanted a platform base to give elevation for a grotto for the batboat, and to hopefully house electrical parts. We tried to drop in a full-length base platform but I realized it would be better with two smaller ones so we can have flexibility and maneuvering room. Here we are laying out the new floorplan and test-fitting the underflooring. You can see our markings for where the grotto will be. Laying out some goodies for a test fit. Hi. Great job on your Batcave diorama. Really awesome. 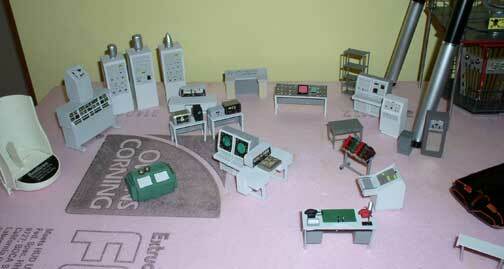 Did you make all the furniture, consoles, atomic pile, etc? I’m looking for a set for a similar diorama. Any help or info would be much appreciated.